Endangered orcas are being studied to death! The recent death of orca L95 has finally led the US responsible parties to halt all tagging pending a review. But more actions must be taken. Four days after the tagging penetration the researchers did see L95 and others with visible ribs. This was a sign of at least nutritional stress or illness. They should not have caused further stress and put L95 at any risk by shooting him with a painful tracking tag. Also, US authorities agree that satellite tag penetration can cause pathways for infection from viruses and bacteria. That threat alone should have stopped it years ago. Why has it only come to light now that two other orcas died shortly after being satellite tagged and seven orcas have metal pieces from the tags still embedded into their sensitive, vulnerable bodies? A suspension and review should have been conducted immediately after the first death of a transient orca. Perhaps then the tragic death of this endangered Southern Resident would have been prevented. There must also be a review of harmful skin biopsy experiments. Researchers conduct extremely close pursuits on the orcas’ backs then shoot a biopsy dart into them. 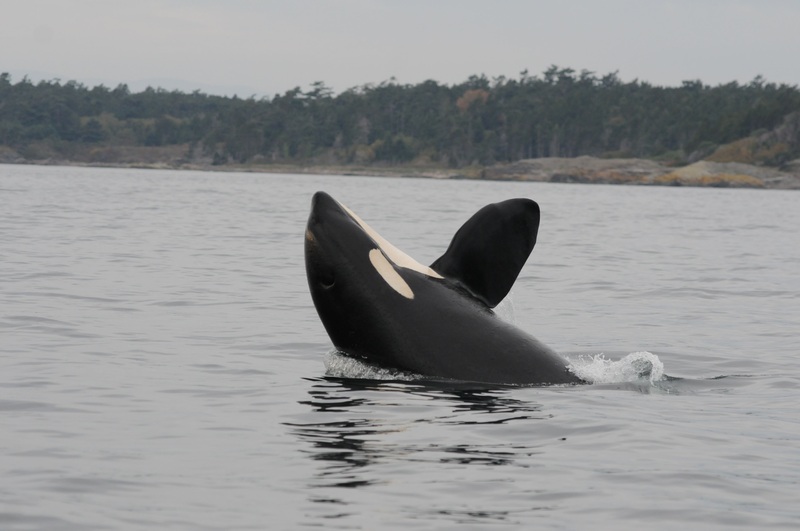 It has been observed that the orcas have shaken with fear (dorsal fins quivered). In one case the two offspring of their darted mother shook with fear. In the 90s, Lifeforce raised the issue of shooting orcas with biopsy darts in the San Juan Islands. After public opposition, that proposed studied did not move forward but later researchers, who are also using satellite tags, also used biopsy darts. These skin biopsies would also cause pathways for toxic pollution, bacteria, and viruses to infect orcas. An investigation should include any deaths of those orcas who were biopsied. Hopefully a thorough review of cumulative research impacts will put an end to at least the inhumane satellite tagging and skin biopsies. In addition to food depletion and pollution, the the negative impacts from boat traffic is recognized as one of the three major threats. It should include whale watch companies, private boaters, and research boats. There must be a joint US and Canada review committee to look at the impact of all the experiments on transboundary SRKWs and other threatened species facing extinction. There must be a public information and comment period.